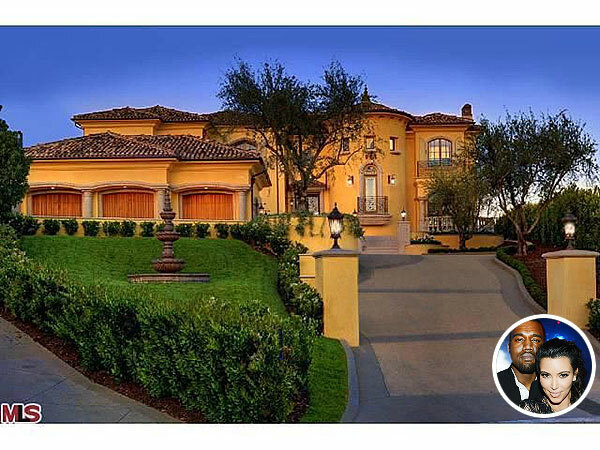 Kanye West and Kim Kardashian's $11 Million Mansion (Photos) - Ooooooo La La! Kanye West and Kim Kardashian recently purchased an $11 million mansion in Bel Air, California. Now photos have surfaced of the couple's new house which they are currently renovating. The mansion is an Italian-style villa and will reportedly include a gym, movie theater, hair and makeup salon, bowling alley, basketball court and indoor and outdoor pools. The home is in a gated community and the couple's neighbors will include LA Clippers point guard Chris Paul and actress Jennifer Aniston. For more photos of the 9,000-square-foot home's interior and surrounding gardens, check out Zillow.com.